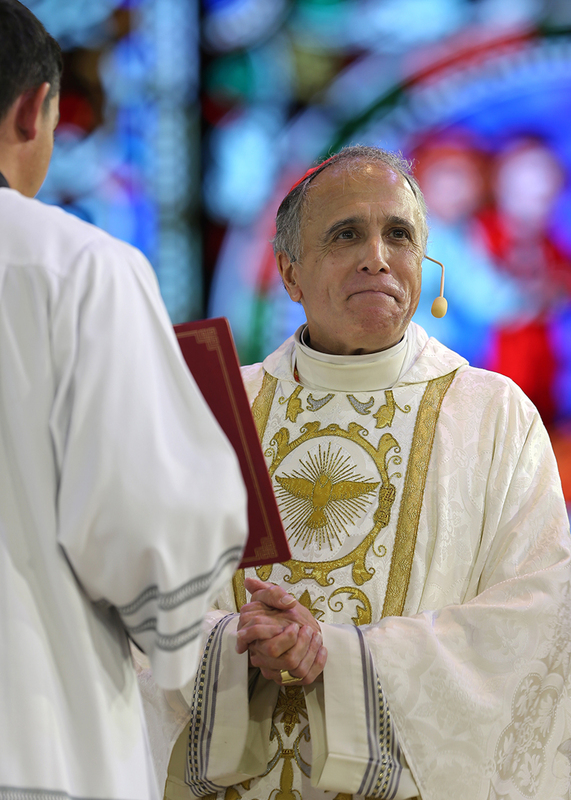 Cardinal Daniel N. DiNardo of Galveston-Houston, president of the U.S. Conference of Catholic Bishops, smiles as he concelebrated the closing Mass July 4 at the 2017 convocation in Orlando, Fla.
WASHINGTON — The president of the U.S. Conference of Catholic Bishops said he was “eager for an audience” with Pope Francis to gain his support for the bishops’ plan to respond to the clergy sexual abuse crisis. In his 11-page letter, published Aug. 26, Archbishop Vigano accused Church officials, including Pope Francis, of failing to act on accusations of abuse of conscience and power bynow-Archbishop Theodore E. McCarrick. Archbishop Vigano claimed he told Pope Francis about Cardinal McCarrick in 2013.